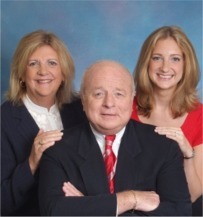 Ron DiPinto is the team leader of the family real estate team The DiPinto Team. The DiPinto Team has about 50 years of collective experience. Nancy started her pratice as a single practioner in 1980 in Haddon Twp, NJ servicing the pike towns of Collingswood, Oaklyn, Audubon, Haddon Heights, etc., and then moved to join another Real Estate Company located in Cherry Hill. She continued her pratice in the Pike Towns and expanded it to Cherry Hill, Marlton, Voorhees, etc. She left that company and we moved to Sturbridge Lakes in Voorhees. She became the local real estate agent in Sturbridge Lakes, Woods, Estates, and The Summit. I joined her in 1996 after a successful career with Strawbridge & Clothier a well respected, family owned Delware Valley retailer known for their high level of customer service, and fine quality competitively priced merchandise. After joining Nancy we recurited our youngest daughter Susie, who at that time was working in the mortgage business, to help us computerize and systemitize our Real Estate pratice. We at that point formed The DiPinto Team, which was either the first or one of the first real estate teams in South Jersey! At one point our team grew to about 10 full time agents, which included our oldest daughter April and her husband Scott. We decided that the team had gotten too big, and found that our business was losing the personal touch we prided ourselves on. The Team is now 3 full time professional agents, Ron, Nancy & Susie, and we are doing what we like best - helping buyers find their dream homes and marketing seller's homes. We pride ourselves on our high level of service and our market expertise. We welcome the opportunity to help you with all your real estate needs! We are always available to answer any real estate questions that you may have.